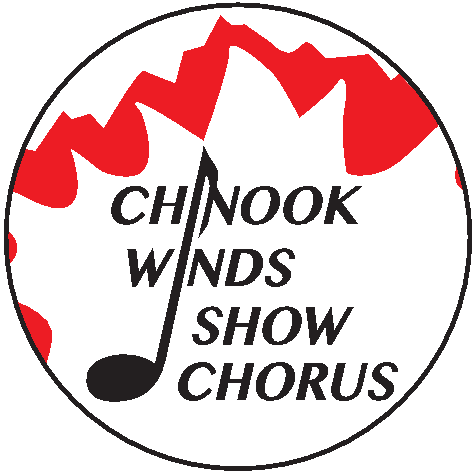 2014 marks the 50th anniversary for long time Chinook Winds Show Chorus member Jean Smith. Much has changed during Jean's 50 years with the Chorus, including it's name but her joy of singing and performing for others has remained steadfast. It all started back in 1964 when Jean took in a Stampede City Chorus Show where she saw Chinook Winds perform as guests. Intrigued she went to check them out. For her audition she remembers sitting at the piano beside Al Knight, the director at the time. He tested her range, determined that she was a baritone and that's where she is still singing today. Jean has been placed in many spots on the risers and for 25 years from 1970 to 1995 she was in the front row. While looking over her many competition photos, Jean realized that in those 50 years, she has worked with 12 directors. On May 1, 2014, during the Sweet Adelines Region 26 Convention, Jean was recognized and celebrated for this significant milestone. She will also be travelling to the Sweet Adelines International 2014 competition in Baltimore in November where she will receive further acolades and well deserved recognition.